The Downtown Development Authority of Avondale Estates has just reached an agreement to purchase land that will provide a public parking lot between its soon-to-be-built Town Green and the historic Tudor Village. The parking lot being acquired is behind two businesses and in front of the small city parking lot at Lake & Franklin Streets. The businesses will retain their dedicated parking in front and have access to a greatly improved lot behind. 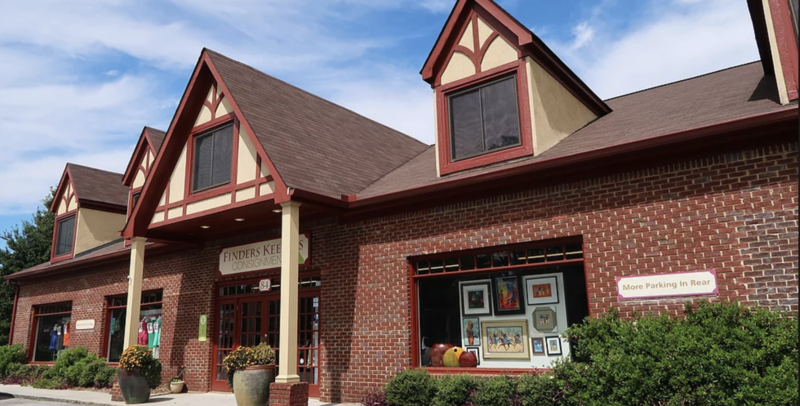 “We are glad to have DDA and the City improve this parking situation behind us, and we can now focus on running our business and watching the town green finally get built”, said Bonnie Kallenberg, owner of Finders Keepers. Avondale Estates Mayor Jonathan Elmore praised the purchase “We are grateful that the DDA has made this strategic purchase for our downtown. This helps us build a walkable, enjoyable area for blocks in every direction”. DDA will assume existing leases with Finders Keepers and Edwin Jarvis, as these parcels are included in the acquisition. “As DDA helps the city make use of the empty storefront it owns at 90 N. Avondale, having two thriving businesses next door makes the whole deal work smoothly,” said Collier. “We are lucky to be able to host these two beloved businesses”. The purchase should be finalized by end of January, at which time cleaning up of the entire parking area will begin. Design of the park will also begin soon, as well as Development plans for the former Credit Union building and the ArtLot parcel.